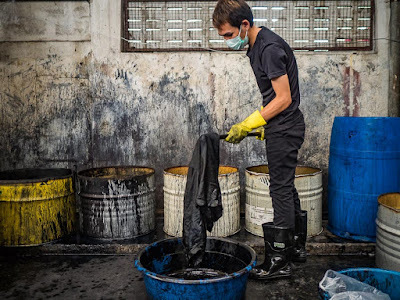 A volunteer at Krungthai Tractor on Rama IV Road in Bangkok dyes clothes black for a person. 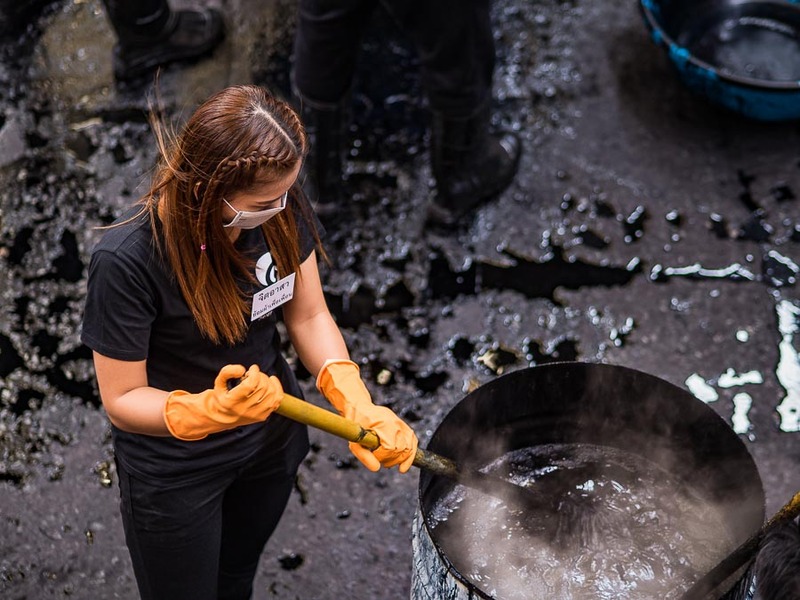 A run on black clothes, used to mourn the death of Bhumibol Adulyadej, the revered late King of Thailand, has led to a shortage of black in the markets. 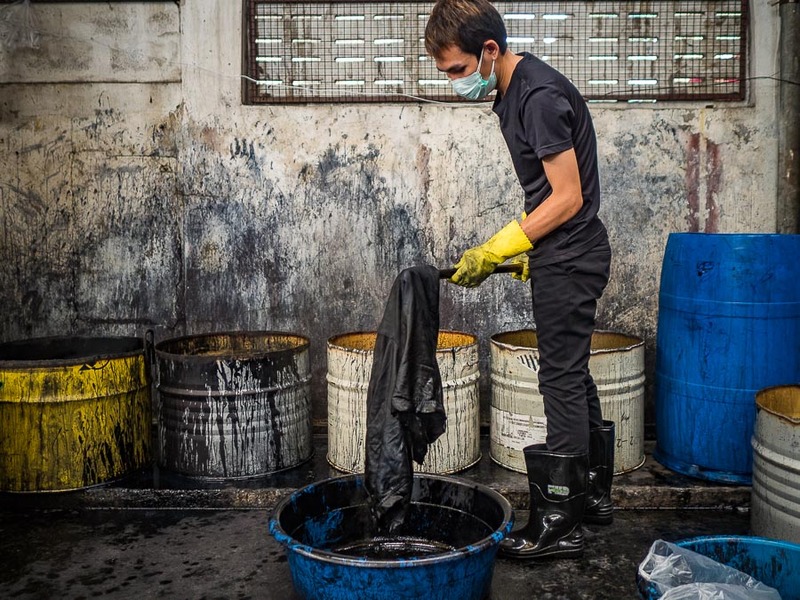 Volunteer groups are dyeing people's clothes black. Thailand entered a year long mourning period when His Majesty the King died on October 13. People were encouraged to wear black in mourning for at least the first 30 days after his death. There was a run on black clothes in the markets the day after his death and before the day was done most market vendors were out of black. At the same time, many poorer people complained that they couldn't afford to buy new mourning clothes. 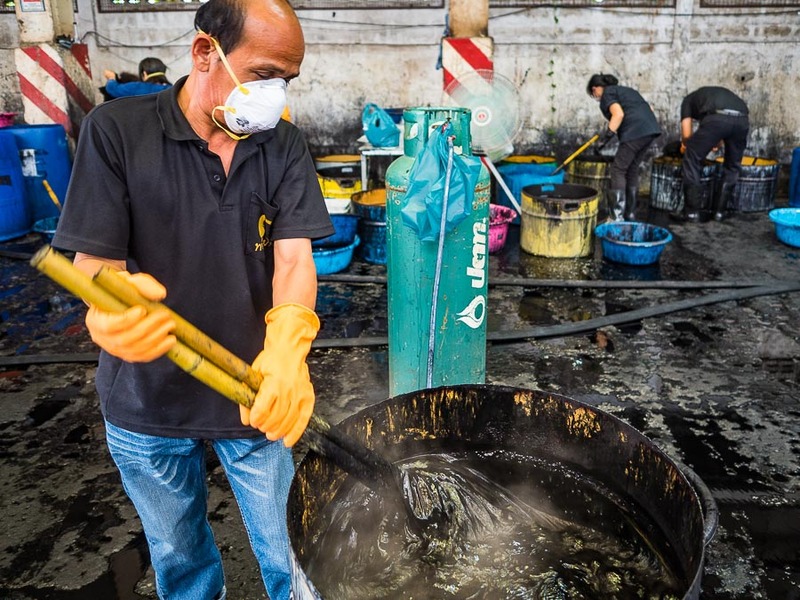 The dyeing operation on Rama IV is huge. About 150 volunteers have been helping more than 600 people per day dye their clothes black. Many colors go in. One color comes out. 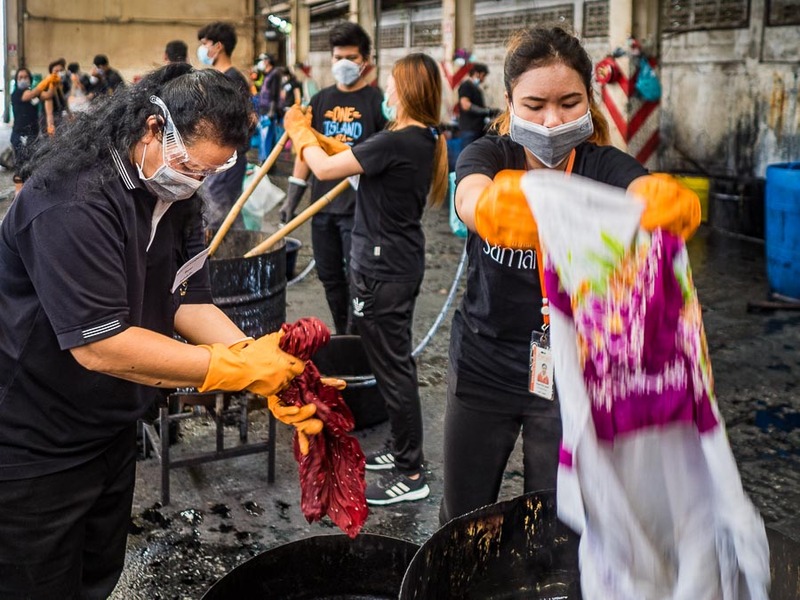 Many of the volunteers at the Rama IV dyeing operation are actors in Thailand's entertainment industry. 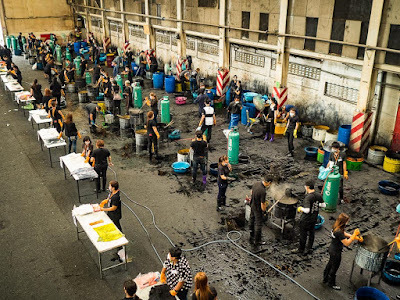 Before the end of the first weekend after His Majesty's death volunteer groups set up clothes dyeing operations. One of the biggest is at Krungthai Tractor on Rama IV Road, near the sprawling Khlong Toey slum. About 150 volunteers show up every day to help people dye their clothes. On most days, more than 600 people show up. 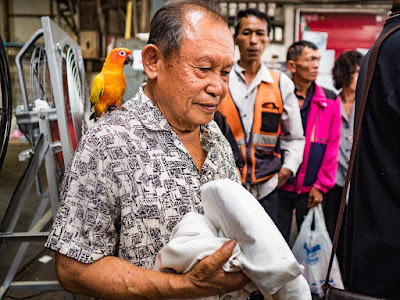 A man was accompanied by his pet parrot when he brought a couple of shirts to the dyeing operation. People get in line and get a number, drop off their clothes and then take a seat. Thirty minutes to an hour later, their number is called, they're given a sack containing their soaking wet clothes and they go home to finish the process, which requires soaking them in salt water overnight so the dye sets. If a person brings in more clothes or the clothes are heavier it might take longer. In any case, every set of clothes has to be done by hand and carefully tracked. It's not like the volunteers can hold up a shirt and say "who owns the fuchsia Hawaiian shirt?" Everything coming out of the dye vats is black as midnight on a moonless night. Steam rises out of a vat of shirts being dyed black. The volunteer dyeing operation at Krungthai Operation is scheduled to end on Sunday, 06 November. By then almost 10,000 people will have gotten their clothes dyed there. The dyeing operation is a literal sweat shop. The clothes are dyed in huge vats of steaming water. 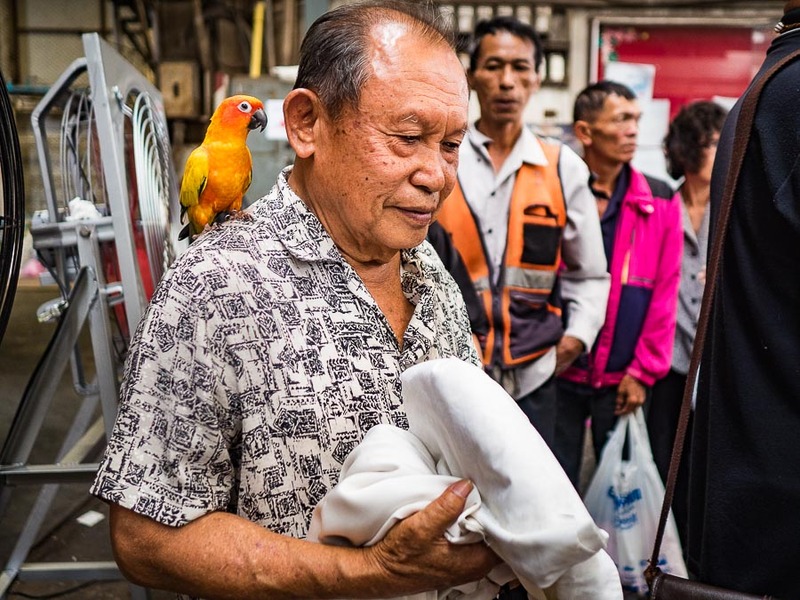 The daytime temperature in Bangkok is in the upper 80s with humidity around 80%. The government has reminded people that white, dark gray, dark navy blue and brown are acceptable colors during the mourning period, but for most Thais, black is the color of choice, especially for shirts. Some men, especially office workers, wear white shirts with black ribbons pinned to the left sleeve but most people are wearing black. There are more photos of the clothes dyeing in my archive or available from ZUMA Press.